Just a day after Gionee announced the W909 smartphone, the Chinese company has launched a new handset – the P5 Mini. 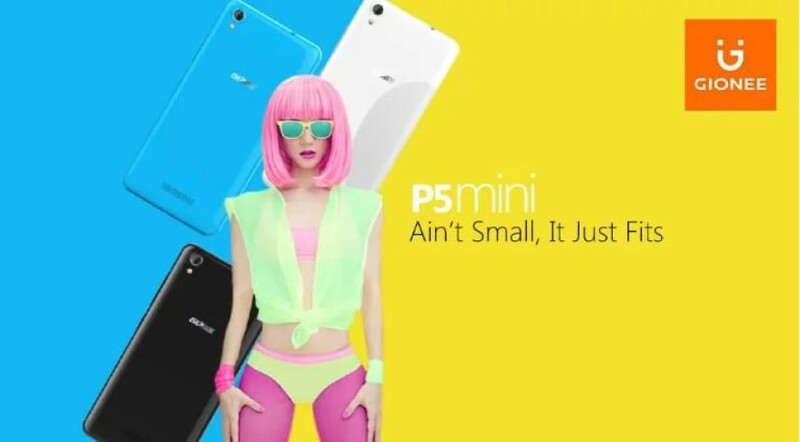 If you judge by the name the P5 Mini should be a smaller and cheaper version of a smartphone called P5. Instead the new communicator is a budget-oriented device and the market where the smartphone was launched confirms this – you can now find the P5 Mini only in Nigeria. Still, the P5 Mini may soon appear around the world but this remains to be seen. The device comes equipped with a MediaTek MT6580M processor, which packs four cores, clocked at 1.3 GHz. The other specs include a 4.5-inch IPS display that works at 854 x 480 pixels, 1 GB of RAM, and 8 GB of internal memory that can be expanded via an integrated memory card reader (up to 32 GB). The P5 Mini does not support LTE but comes with two SIM card slots and two cameras – one rear at 5 MP and another front at 2 MP. The device, which measures 132 x 66 x 9.1 mm, packs a 1800 mAh battery too. The price of the P5 Mini is unknown but given the hardware specs the device cannot be expensive.